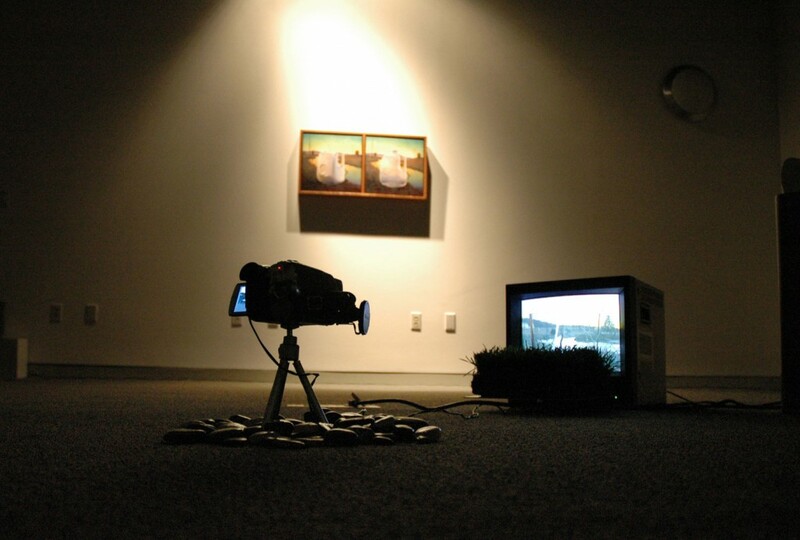 This installation explores different levels of representation. 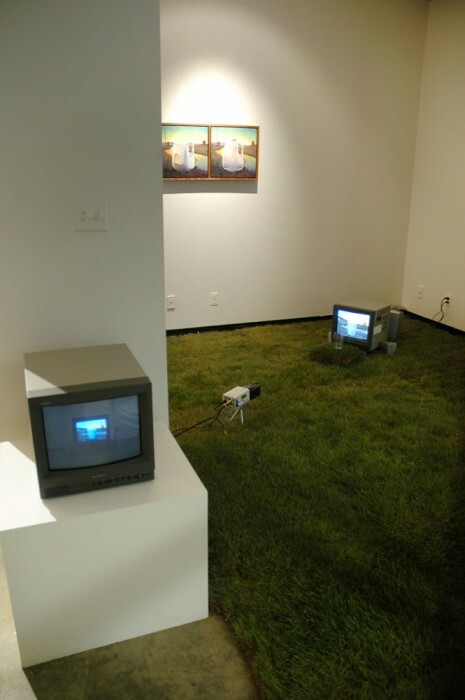 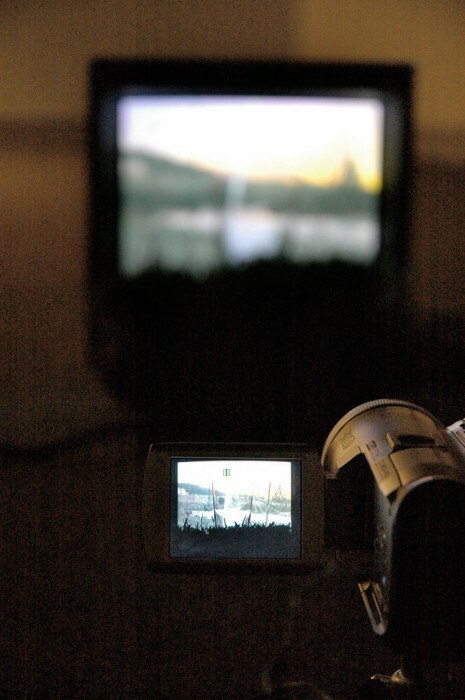 A video plays a continuous loop on a monitor, a camera records the video with a glass located between the monitor and the camera on a patch of grass. 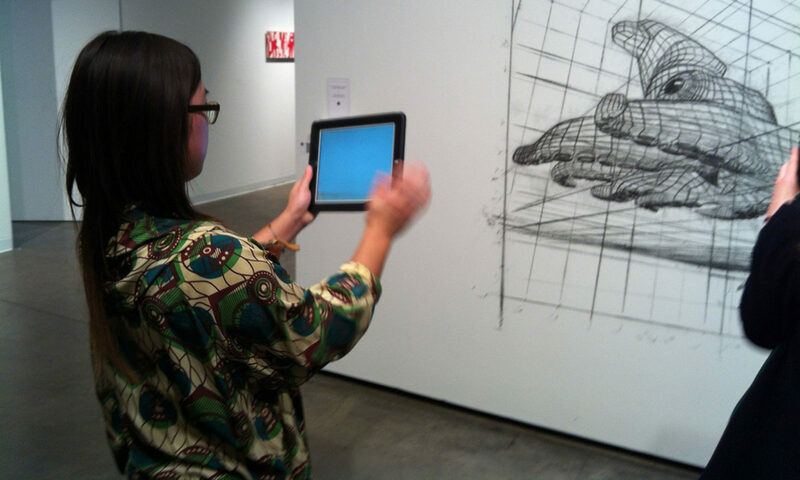 The piece really only is complete when viewing the 2.5″ screen of the camera where the glass is overlayed with it’s contents. 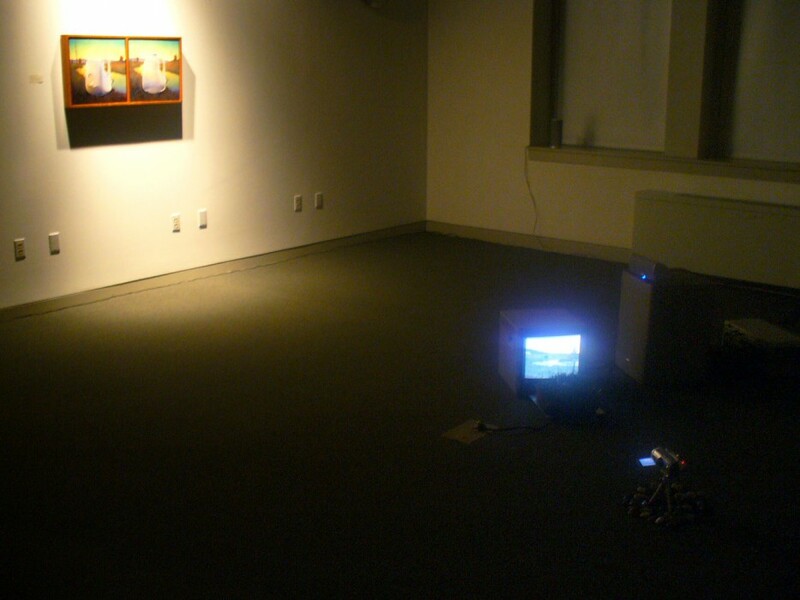 On the wall are two paintings, one is the empty container and the other is a painting of it’s contents, minus the container.